A leaked recording has revealed that the Bank of England was colluding with the banking industry to fiddle the numbers in lending rates during the Financial Crash of 2008. ‘Libor’, the London inter-bank lending rate, is one of the most important interest rates in global finance. It is the baseline for trillions of pounds worth of financial dealings across world. The recording reveals the Bank of England colluding with Barclays bank to fix lending rates – so much for the ‘invisible hand of the capitalist market’. By fiddling with this number, the Bank of England have essentially colluded with big Banking firms and defrauded the international financial system. Obviously such things are acid to market confidence. That is why Barclays was fined £290m in June 2014 after some of its bankers were caught out rigging this vital rate. The rock bottom confidence the public had in banks was dragged even lower by the scandal, which resulted in the resignation of Barclays bosses Bob Diamond & Marcus Agius. Other banks, including royal Bank of Scotland, were also fined by U.S. authorities – and sickeningly they used the taxpayer funded bailout pot to pay these fines. The statements made to the House of Commons Select Committees by these banks are now shown to have been false by these recordings. What this scandal shows is the dangers of NeoLiberal financial policies. Instead of regulating the banks Thatcher had let loose, Alastair Campbell’s boss Tony Blair & his Chancellor Gordon Brown let the Bank of England & the City of London carry on untrammelled. 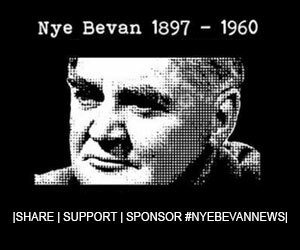 Whilst they watched the Bubble grow in the city, New Labour sold off our gold reserves for pittance, and continued the Thatcherite policy of squandering our oil reserves instead of pooling the revenues generated into a sovereign wealth fund (as Tony Benn intended when the first barrel of North Sea Oil came to shore). These National assets were stripped and sold off by the same bankers whose bailout is supposed to be paid for by the political ideology of Austerity. The current Tory government has insisted on taking billions of pounds out of the economy with its Austerity programme. Yet at the same time it’s pumping billions of pounds into the economy through quantitative easing – the equivalent of £24,000 for every family in Britain. It could be a huge scandal – a ruthless elite, siphoning off billions in public money. Socialism for the Rich, Crony Capitalism for the rest. Bailouts for the banks paid for by cuts to the NHS. All imposed on the taxpayer by a Conservative government under criminal investigation for #ToryElectionFraud. The Tories are forcing those least able to face the burden to take the brunt of the strain, whilst the top 1000 earners in the nation doubled their net wealth. When you can rig the system and gain billions in bailouts – rewarding failure – what’s the incentive for banks to obey the rules? Practically no one in the City of London is prosecuted for the endless financial crimes that are being revealed there. Next articleU.S. bombs Syria again: why has Trump turned NeoCon?